The Atomic Age began on July 16, 1945, with the successful detonation of the “Gadget” at the Trinity Test in New Mexico. At the end of World War II, the future of the wartime Manhattan Project complex with production plants, laboratories, and administrative offices scattered across thirteen states was unclear. Employment levels dropped precipitously at Manhattan Project sites. Many officials believed that the hastily constructed plants would be shut down at the end of the war, their missions accomplished. Amidst this uncertainty came the increasingly unified voice of many atomic scientists who, after the bombings of Hiroshima and Nagasaki, could speak more freely about the dangers of and problems with nuclear development. In November 1945, they formed the Federation of Atomic Scientists and began to push for civilian control of nuclear research and production. As Enrico Fermi asserted, “It is not that we will not work for the government but rather that we cannot work for the government. Unless research is free and outside of control, the United States will lose its superiority in scientific pursuit” (Hewlett and Anderson 422). Another proposition during this time was for increased international cooperation and control of nuclear weapons. The 1943 Quebec Agreement created a wartime partnership with the United Kingdom to work together on atomic research, and efforts were made to explore the expansion of this collaboration. In March 1946, a U.S. policy committee issued the Acheson-Lilienthal report, which recommended the creation of a United Nations Atomic Energy Commission (UNAEC). This organization would take over worldwide responsibility for atomic energy. But the UN commission would have required the United States to turn over its atomic secrets, a sticking point in negotiations that many in the U.S. government would not accept. Discoveries of Soviet espionage were a contributing factor to the breakdown in negotiations, and in the end all United States atomic secrets were classified. The failure of the Acheson-Lilienthal report marked a turning point towards the Cold War. Congress eventually settled on a compromise bill written by Senator Brien McMahon. It would become the Atomic Energy Act, alternately known as the McMahon Act, and was passed in July 1946. The bill proposed the creation of the Atomic Energy Commission, a civilian committee made up of five members, one of whom would be the chairman and serve as a spokesperson. The AEC would take over responsibility of United States nuclear development from the Manhattan Engineer District. As McMahon described it, “We must find a way of controlling the destructive power of atomic energy on a world level” (Hewlett and Anderson 451). McMahon, with the help of atomic scientists, originally proposed cutting out military control of the AEC altogether, much to the frustration of General Leslie Groves. Groves persuaded Senator Arthur Vandenberg to submit an amendment that would create a “military liaison board” to the AEC. The end result was the creation of a Military Liaison Committee (MLC) with representatives chosen by the president. The MLC would be informed of AEC decisions and it could make recommendations, but did not have any final authority. Amendments were also submitted instituting strict security measures to ensure secrecy. This would eventually lead to the investigation of several prominent scientists, including J. Robert Oppenheimer, for alleged ties to communism. The Atomic Energy Act was signed into law by President Truman on August 1, 1946, formally creating the Atomic Energy Commission. In January 1947, the Atomic Energy Commission was given administration over the Manhattan Engineer District as the Atomic Energy Act went into effect. This required an enormous transfer of materials and installations, as well as thousands of military personnel, government workers, and contractor employees. As one AEC member commented, “Never before in the peacetime history of the United States has Congress established an administrative agency vested with such sweeping authority and entrusted with such portentous responsibilities.” (Hewlett and Anderson 4). The Atomic Energy Act called for the development of atomic capabilities toward "improving the public welfare, increasing the standard of living, strengthening free competition in private enterprise, and promoting world peace." To implement this mandate, the AEC first established a national laboratory system that could provide universities in different areas of the country with access to nuclear reactors and high energy accelerators. This equipment, although very expensive, was essential for universities to pursue the next steps in research in the fundamentals of nuclear science, for its application in biomedical sciences and other fields, and for the training of young scientists. Additionally, the AEC launched a "Plowshare Program" with projects that involved peaceful applications of atomic energy. These included using nuclear power for mining and oil drilling, as well as nuclear explosives for large-scale engineering projects such as canal, harbor, and dam construction. The Atomic Energy Commission intended for its national laboratories to be the backbone of its research program. Wartime laboratories were expanded to become national laboratories, including the Los Alamos National Laboratory, the Oak Ridge National Laboratory, the Argonne National Laboratory, and the Lawrence Berkeley National Laboratory. The AEC subsequently worked to create more in the years following its inception. These would include the Ames Laboratory and the Brookhaven National Laboratory in 1946, the Sandia National Laboratory in 1948, and the Idaho National Laboratory in 1949. Today, the Department of Energy operates seventeen national laboratories across the United States. Immediately after the war, there was a lull in the pace of research activities at Los Alamos and in production at Hanford and Oak Ridge. This ended after the announcement of the Truman Doctrine, which promoted the containment of communism, in March 1947, and the subsequent blockade of West Berlin by the Soviet Union in 1948. By the summer of 1947, the AEC was charged with ensuring a steady flow of fissionable material from Hanford and Oak Ridge and stepping up weapons research at Los Alamos. In the spring of 1949, the Atomic Energy Commission chose the U.S. Navy's former ordnance plant and testing site near Pocatello, Idaho for the National Reactor Test Station. At this 890-square mile site in eastern Idaho, 52 nuclear reactors, most of them first-of-a-kind facilities, were developed and tested during the early Cold War years. The Experimental Breeder Reactor-I (EBR-I) was the first one built and in 1951 was the first to produce usable electrical power from nuclear energy. In 1953, it also became the first reactor to achieve “breeding,” or producing more fuel than it consumed. The Experimental Breeder Reactor-I was recently restored under a Save America's Treasures grant with contributions from Argonne National Laboratory, Bechtel BWXT Idaho, Bechtel National, BNFL, Exelon, Florida Power & Light, the M. J. Murdock Charitable Trust, and other donors. The reactor is now a National Historic Landmark at the Idaho National Laboratory and is open to the public every summer. In 1954, Congress passed an amended Atomic Energy Act, which for the first time allowed for the possibility of a privatized nuclear energy industry. By this point, both the Soviet Union and the United Kingdom had developed nuclear weapons, ending the United States’ monopoly and therefore lessening the need for absolute secrecy of nuclear development. Just a year before, President Eisenhower had delivered his “Atoms for Peace” speech before the United Nations in an effort to expand the peaceful use of nuclear energy worldwide. The 1954 Act stated, “the development, use, and control of atomic energy shall be directed so as to promote world peace, improve the general welfare, increase the standard of living, and strengthen free competition in private enterprise." In this way, it allowed civilian licensing for the use of nuclear materials. 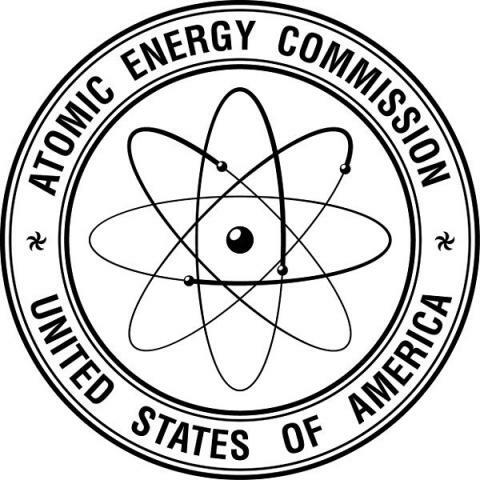 The Atomic Energy Commission had to both encourage the privatization of nuclear energy and regulate it. This proved difficult and often controversial, particularly with its regulations related to radiation exposure, reactor safety, and environmental consequences. The primary goals of the DOE have shifted since its inception. With continued energy shortages in the United States, its initial task was to focus on energy development. Next, with Cold War tensions returning in the early 1980s, the DOE was tasked with weapons development and production. Finally, since the fall of the Soviet Union and the end of the Cold War, the DOE once again shifted its objectives, largely to focus on environmental issues. During this last period, it became clear that environmental consequences of nuclear development were becoming a national security issue. Due to concerns over nuclear waste reaching dangerous levels, the DOE decided to turn land from the nuclear weapons complex into environmental preserves. Some examples include the White Rock Canyon Preserve in New Mexico, the Yucca Flat Area in Nevada, and the Savannah River Site in South Carolina. While progress has certainly been made in environmental clean-up, addressing the environmental impacts of nuclear production will remain an issue for the foreseeable future. Although the DOE does not hold decision power regarding the deployment and usage of the United States nuclear arsenal, it does play a role in maintaining it. The National Nuclear Security Administration (NNSA), a semi-autonomous division within the DOE, “is responsible for ensuring the integrity and safety of the nation’s nuclear weapons, advancing nuclear nonproliferation and promoting international nuclear safety.” In following these goals, the DOE was instrumental in negotiating the Iran nuclear deal in 2015. Additionally, the DOE is charged with the management of energy materials, in both usage and storage, to ensure proper safety precautions and to maximize output. It has also coordinated closely with the National Park Service (NPS) to clean up and preserve historic sites. In 2015, an agreement between DOE and NPS officially established the Manhattan Project National Historical Park at Los Alamos, NM, Hanford, WA, and Oak Ridge, TN. DOE and NPS are partners in managing the new Manhattan Project NHP. 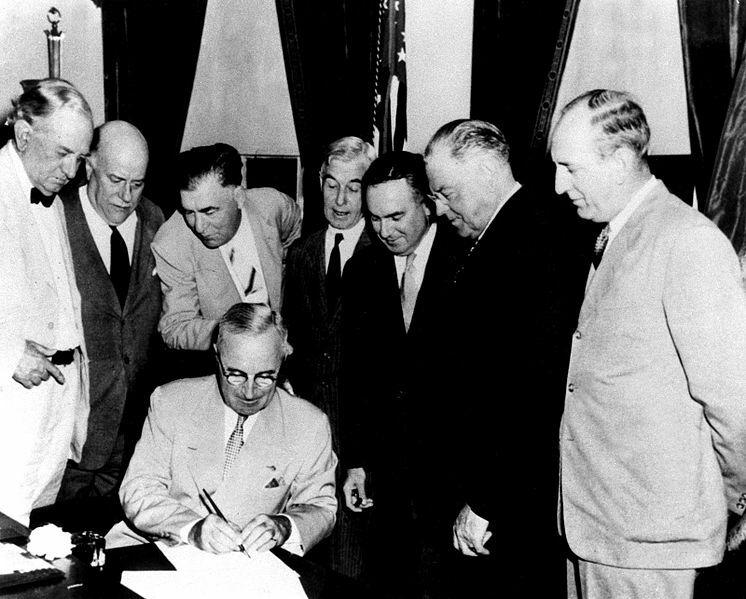 President Truman signs the Atomic Energy Act into law on August 1, 1946. 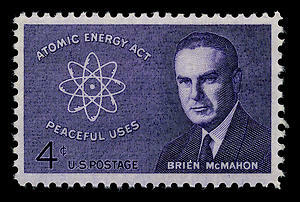 A stamp featuring Senator Brien McMahon. 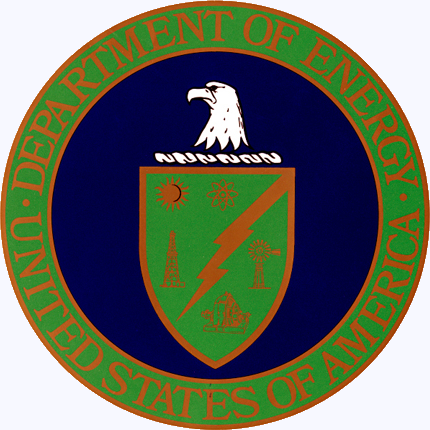 The seal of the Department of Energy. The Buggy nuclear test was conducted underground at the Nevada Test Site on March 12, 1968 as part of the Operation Crosstie series. It was part of the AEC's Operation Plowshare, an effort to use nuclear explosives for peaceful construction purposes. Buggy involved the simultaneous detonation of five nuclear devices to excavate a channel, each yielding 1.1 kilotons. Hewlett, Richard G., and Oscar E. Anderson. The New World, 1939/1946. University Park, PA: Pennsylvania State University Press, 1962. Norris, Robert S. Racing for the Bomb. South Royalton, VT: Steerforth Press, 2002.